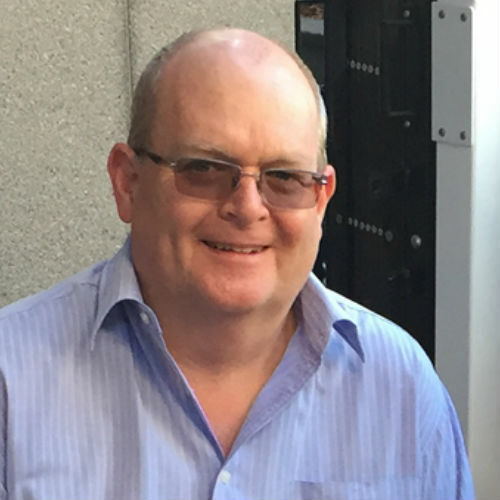 Bruce is a Chartered Electrical Engineer based in our Brisbane office with over 25 years’ experience. He specialises in the design of electrical systems for water and wastewater plants, including HV, LV and control systems. He has also undertaken project and design management of various sized projects, inclusive of management of new capital works, renewal or upgrade works, and general consulting. Technical Manager for the Electrical and Automation team of Hunter H2O – Bruce brings excellent leadership to staff in the following key areas: Project and design management of various sized projects, inclusive of management of new capital works, renewal or upgrade works, and general consulting. Bruce offers the team and clients excellent electrical engineering ability, inclusive of HV , LV , PLC, SCADA and telemetry systems, specializing in the design of electrical systems for water and wastewater plants, sound mechanical engineering ability, inclusive of knowledge of pumps, gearboxes, hydraulics, pneumatics and general mechanical ability and Hazardous areas classification and associated electrical design. Most recently, Bruce has led the electrical engineering efforts for the Cleveland Bay Purification Plant upgrade – Bruce led all electrical engineering aspects for the detail design and specification for a Membrane Bioreactor upgrade for the 126,000EP plant, including primary effluent, permeate and outfall pumping stations and blower upgrades.